Avatar The Game sees the world wide movie phenomenon finally land on a wide variety of gaming consoles and I can honestly say it was well worth the wait. The game follows the story of the movie with of course many additional extras which really do make you fall into a trance. The game is highly addictive from its story line to its graphical content and is a true masterpiece. 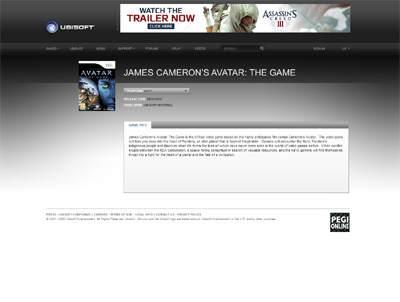 We have also compiled a Review System for this, of which Avatar The Game is Rated as Five Stars, the highest possible score available from the Game Review Team.